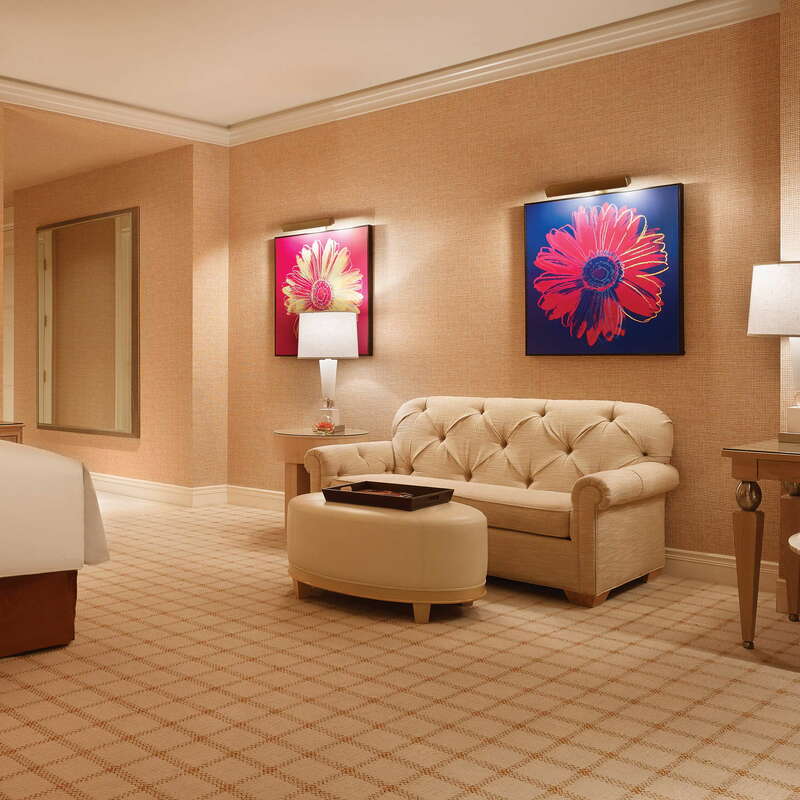 In a city that keeps raising the bar for sheer luxury, the Wynn—monolithic in both name and appearance—offers a discreet turn for the tasteful. The resort is a best-of-everything experience—a playground for jet-setters, high rollers, or anyone who wants to feel like one. 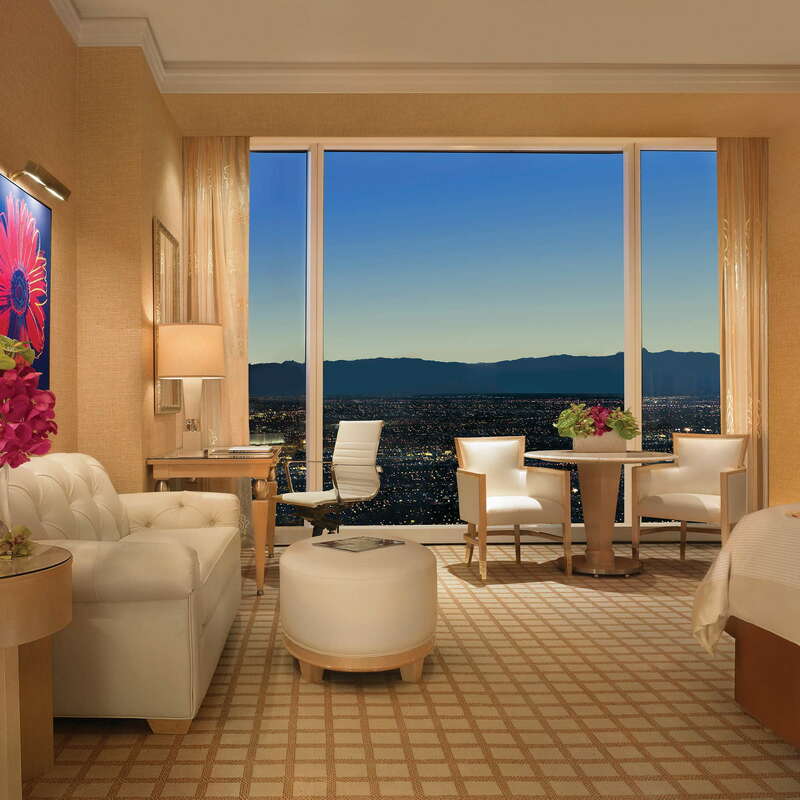 Decked out with replicas of Steve Wynn's acclaimed art collection, the princely rooms, averaging a whopping 650 square feet, offer spectacular views through wall-to-wall, floor-to-ceiling windows. 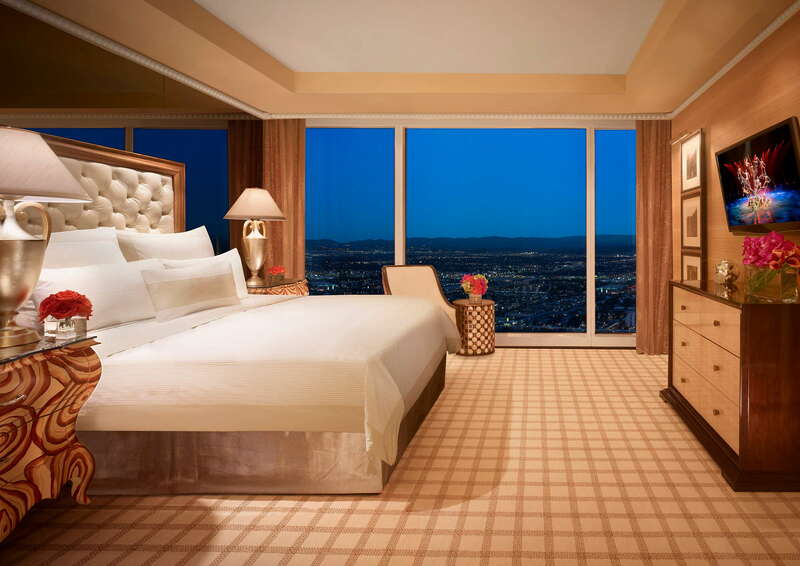 Rest your head on custom pillow-top beds with 320-thread-count linens, and call room service from the cordless phone. Bedside drapery and climate controls are another nice touch. The super-posh Tower Suites units have use of a separate pool and lanai, and some have opulent amenities such as granite wet bars, separate powder rooms, 42-inch flat-screen TVs, and walk-in closets. Downstairs, restaurants such as Wing Lei and Bartolotta Ristorante di Mare provide endless culinary delights. The outstanding golf course incorporates 11 water hazards, including a 37-foot waterfall. 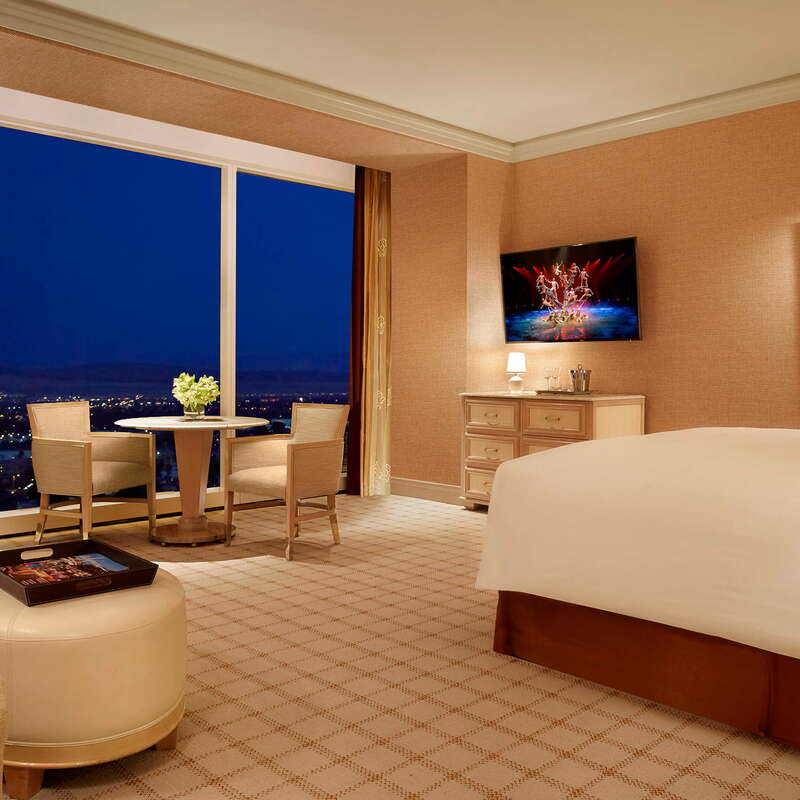 The rooms are generously sized and no detail has been left out, that famous Wynn Dream bed and Egyptian cotton sheets send you off to a different kind of dreamland. 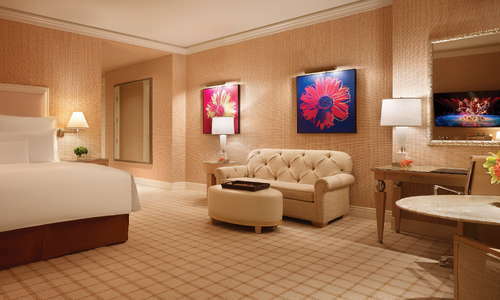 Take advantage of Wynn’s outstanding concierge service. They will take care of reservation on any of their dining and entertainment options, as well as transportation and spa and salon treatments. 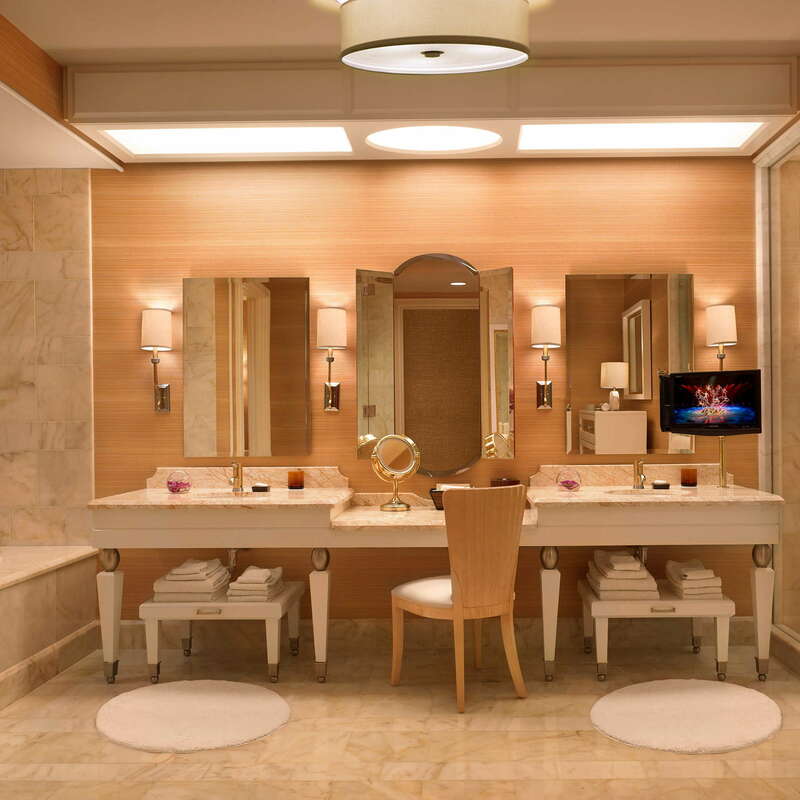 An oversized marble bath, separate shower and water closet, a 13-inch LCD TV, plush terrycloth bathrobes and oversized Turkish towels are just a few amenities you’ll find here. Wynn’s lobby is vibrant with color. It’s impossible to step into its gleaming halls without feeling happy. Just off Encore’s main entrance is the Lobby Bar & Cafe, adorned with a golden sculpture of the mythic Greek nymph Daphne. There are two main pools and a number of smaller pools, as well as a European sunbathing pool area for those who hate tan lines. 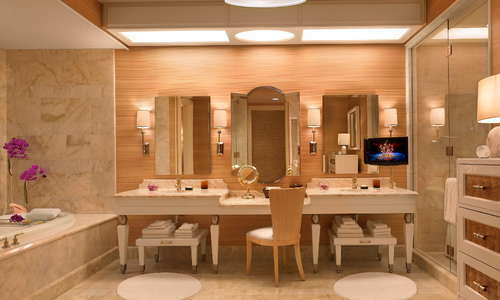 The Spa at Wynn Las Vegas has an impressive menu of service that includes massages, facials, and body treatments. It also has a barbershop and a full-service salon. Cybex treadmills, recumbent and upright bikes, elliptical trainers and strength equipment are available at the fitness center. The culinary choices here are endless and caters to every possible gustatory want. From the elegant Allegro to the intimate retreat of La Cave Wine and Food Hideaway to the stunning vistas of Lakeside, you’ll experience some of the best meals of your life here. Vegans and vegetarians are welcome and celebrated here, with all the restaurants offering special menu items with the same quality and care as their signature items. Parasol Up and Parasol Down are twin experiences that offer in equal parts unparalleled views and a refined mixology program. YOU SHOULD KNOW All this luxury and service do not come cheap, but you already knew that the moment you stepped into this palace of sophistication. 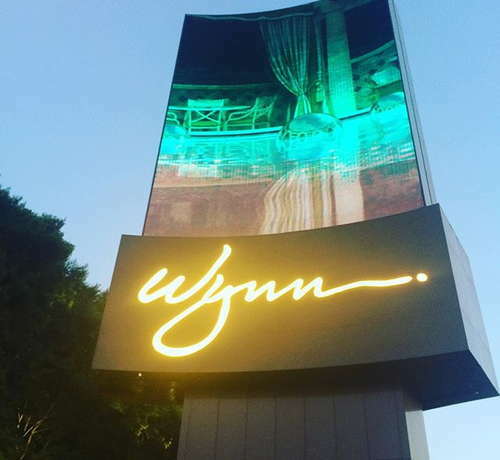 Wynn is located on the the south end of The Strip, and there are properties nearby that are easily accessed by walking. 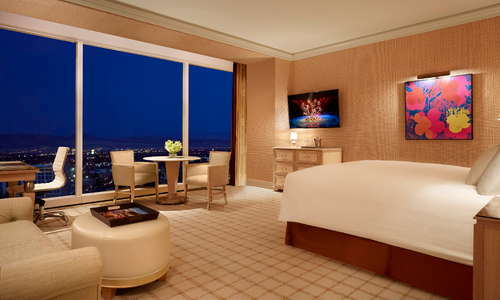 For destinations beyond the Strip, talk to the concierge to arrange for transportation. The Venetian next door (10-minute walk) has a bevy of choices on Restaurant Row. Check out Chica for Latin-inspired cuisine or Yardbird for refined Southern comfort food. The recently opened cocktail bar Rosina in The Palazzo (15-minute walk) is making waves for its gorgeous interiors and intimate vibe, while The Dorsey in The Venetian is a much larger venue famous for its fireplace. 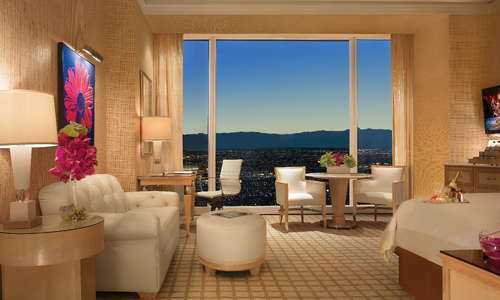 Wynn Las Vegas is simply one of the best resorts in Las Vegas. It’s classy, not gaudy, and you won’t find better service anywhere.